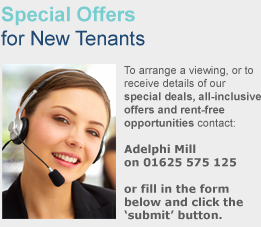 Adelphi Mill’s office space website (adelphimill.co.uk) receives 1000s of page views each month from existing tenants, local Macclesfield businesses and businesses further afield. 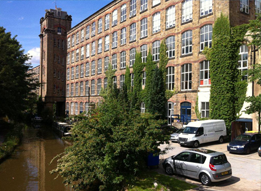 Adelphi Mill Offices Macclesfield would like tenants of both the mills to benefit from its popular website – so that’s why we’re allowing companies within the mills to be featured on the website free of charge. As an Adelphi Mill Offices Macclesfield tenant you will have the opportunity to be advertised for 1-4 weeks in the new ‘featured tenant’ section on the home page of our Offices Macclesfield website (adelphimill.co.uk). You will also be given a permanent profile page which tells other tenants and the visitors from outside the mill, in Macclesfield and beyond, all about your business. Your profile page can also include pictures of you and your company and will rank in search engines, such as Google, further increasing your exposure. Furthermore, when you have news, such as a new member of staff, winning a new contract, launching a new product line, simply let us know and we’ll post a news item which tells all the visitors to our website about your news and further publicises your business.